We are an authorized dealer of McElroy Metal roofs. From coast to coast, residential metal roofing is gaining in popularity as homeowners recognize its long-term benefits and advantages. 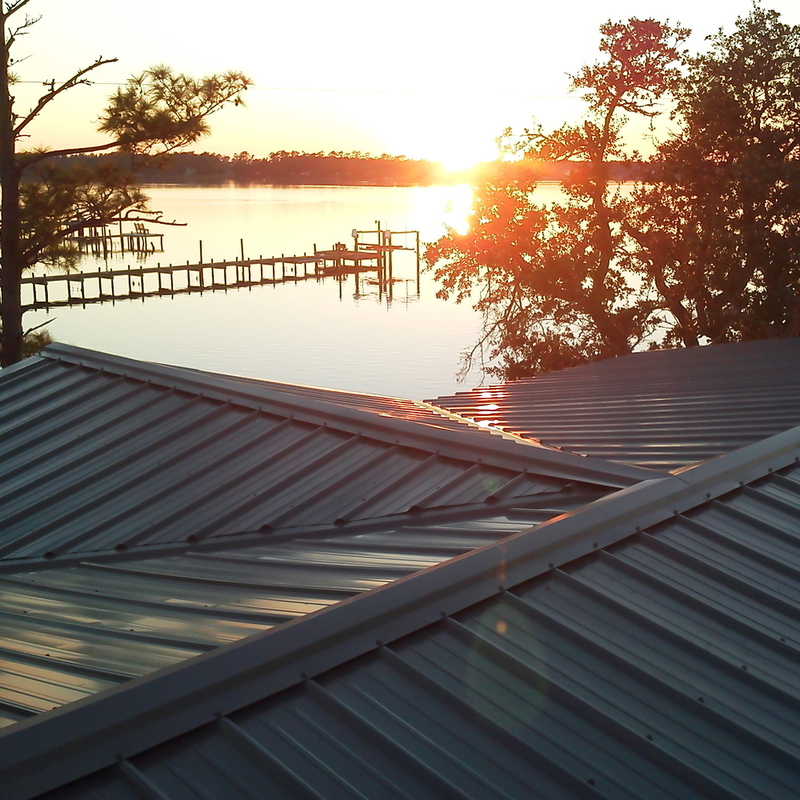 Today's metal roofing will provide a service life of decades, and also add beauty to any home. It also provides great savings on energy bills. We specialize in the installation of Thru-Fastened Panels. They are typically installed over solid decking (or existing shingle) and are attached with fasteners that penetrate through the metal panel into the roofing structure. Modern times have seen the rise of metal as a prime exterior material, largely due to its rugged durability, design versatility, and aesthetic possibilities. However, for all its bravado and beauty, metal tends to be superficially weak, and is generally available in but a single color. Thus, in order to be both functional and pleasing to the eye, metal must be coated with a unique finish which beautifies with color and resists any chalking, pitting, chipping, or premature aging. The choice of roofing material has the greatest impact on the energy conservation of a home. Cool metal roofs coated with Kynar 500® PVDF based resin can reduce energy consumption by up to 40% as part of a total system design (as reported by the Lawrence Berkeley National Laboratory). 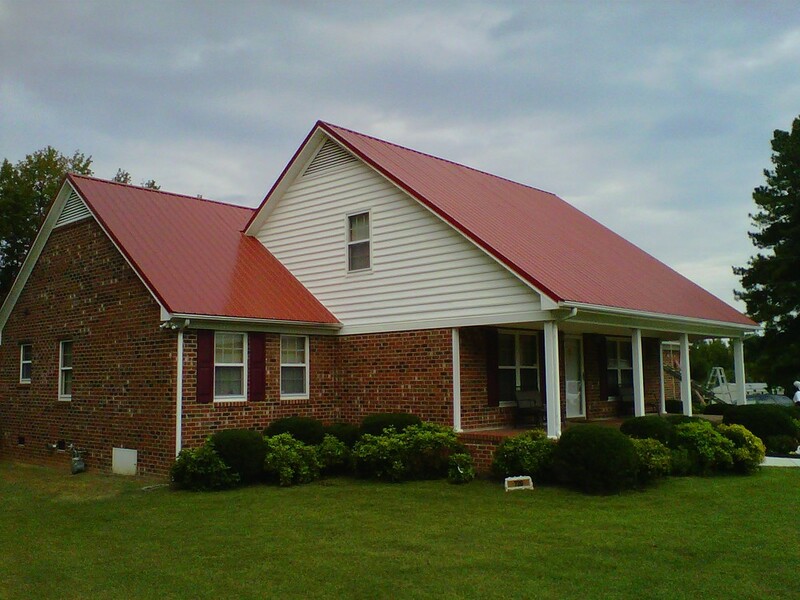 Kynar 500 coated metal roofing has many attractive features and benefits. The architectural appeal, variety of profiles, texture and color, flexibility and long-term durability make it popular for residential projects. Kynar 500 based painted metal roofing can achieve solar reflectance of over 70%. Reflected solar energy allows the roof surface to remain cooler, which means less heat is transferred into the building. Cool metal roofing coated with Kynar 500 based resin is one way to limit the urban heat island effect.